Directed by Joseph Adumu; photographed by Jeremy Rodney-Hall and co-produced by Helena Koudou, this photo series showcases creative hairstyles that are simply beautiful and successfully captures the process and experience of a trip to a (black) hair salon. 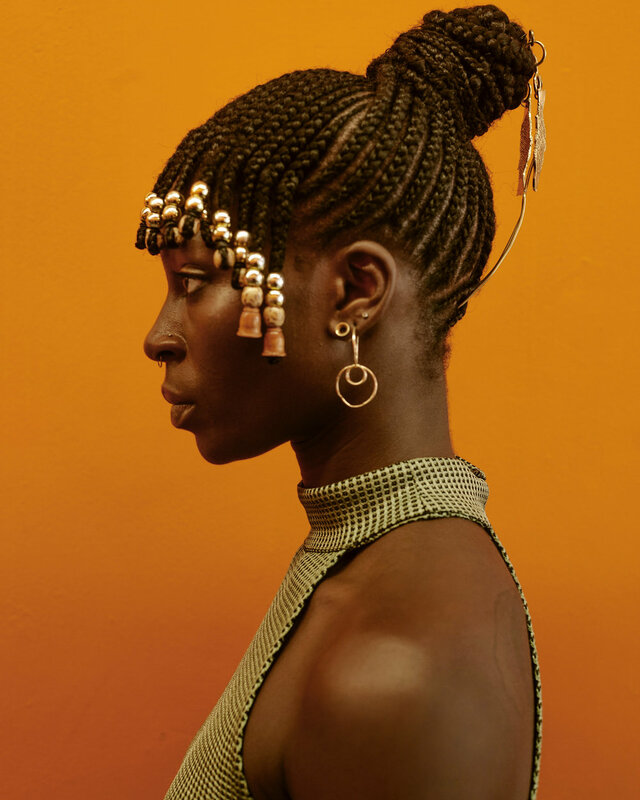 Having just come back from a trip in my home country of Ivory Coast, this gorgeous editorial, indeed reminds me of being surrounded by the most adventurous hairstyles on a daily basis. It makes me think of being able to walk just 1 minute to the salon, where I would wash, condition and style my hair in a protective style, whenever I felt my ‘fro needed some TLC often because of my scalp’s unrelenting need to respond to the heat by lubricating itself in sweat. Aside from the affordability of such frequents visit to the hair salon being a luxury, it was a privilege to be able to be in the intimate company of women who openly share their experience, laugh, eat and even drink with you — as hair salons can somewhat feel like safe spaces in which one can easily end up spending hours bonding, through hair. The Hair Appointment by Sunday School - Photo by Jeremy Rodney-Hall. More beautiful to me, is the inclusion of children in the editorial as their presence contributes to the authenticity of this experience.Their images makes me particularly reminisce about a specific childhood memory of going to a hair appointment in the market in Treichville, where I would sit in between the legs of the lady braiding my hair and praying hard for the moment to past, shuffling from side to side and being told to remain still, yet always loving the final results. View the full editorial and read about the creative process from the shoot's director. Check out the work of the creative agency behind the photo series: Sunday School — who use innovative visual approaches to tell stories.